WATCH YOUR POND FLOURISH – Nualgi Ponds will significantly improve water quality as well as the health of fish and plants. For many eutrophic ponds, results may be visible by afternoon on the first dosem starting with the bubbling up of oxygen, elimination of odor, and Blue Green Algae crashing and floating to the surface. SEE MORE– By reducing nuisance algae growth, Nualgi Ponds improves water clarity and visibility to reveal more of the pond’s environment and its inhabitants. FEED LESS– By restoring missing nutrients, Nualgi Ponds brings balance to the natural marine food chain from the bottom up by promoting the growth of diatoms and zooplankton – free food for your fish and shrimp! SHOW IT OFF– Enjoy peace of mind knowing that your pond is healthy, clear, and odor-free. Friends and guests will be impressed, and we won’t tell them how easy it was to restore the natural beauty of your pond. Nualgi is Safe for Fish, Plants, Amphibians, Birds & Pets! Nualgi Ponds has been tested in hundreds of small bodies of water, and even a few lakes and rivers! Nualgi Ponds is designed to promote healthy growth and restore balance to the environment by reducing nuisance algae and increasing dissolved oxygen, and has successfully done so in trial ponds since 2005. Yes, I would love to live here. Nualgi Ponds improves the life cycle to significantly increase the health of fish, plants, and critters. By providing essential nutrients on a nano-scale, our patented formula allows nutrients to travel farther than larger, macro-sized particles, reaching every corner of your pond and increasing the bioavailability of the nutrients for easy absorption. 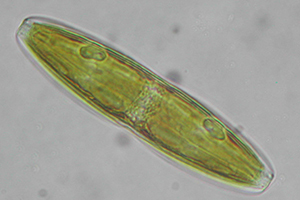 Within 3 – 5 hours of applying Nualgi Ponds, a bloom of Diatom algae (the good kind!) will develop. 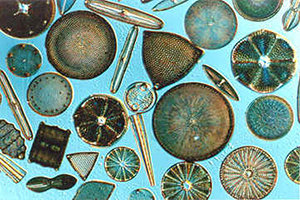 The diatom algae bloom out competes nuisance algae for CO2, N, P and other nutrients, causing the bad algae to die off, then locks away some of the nutrients in the new bio mass that is consumed as live food for your fish and zooplankton. 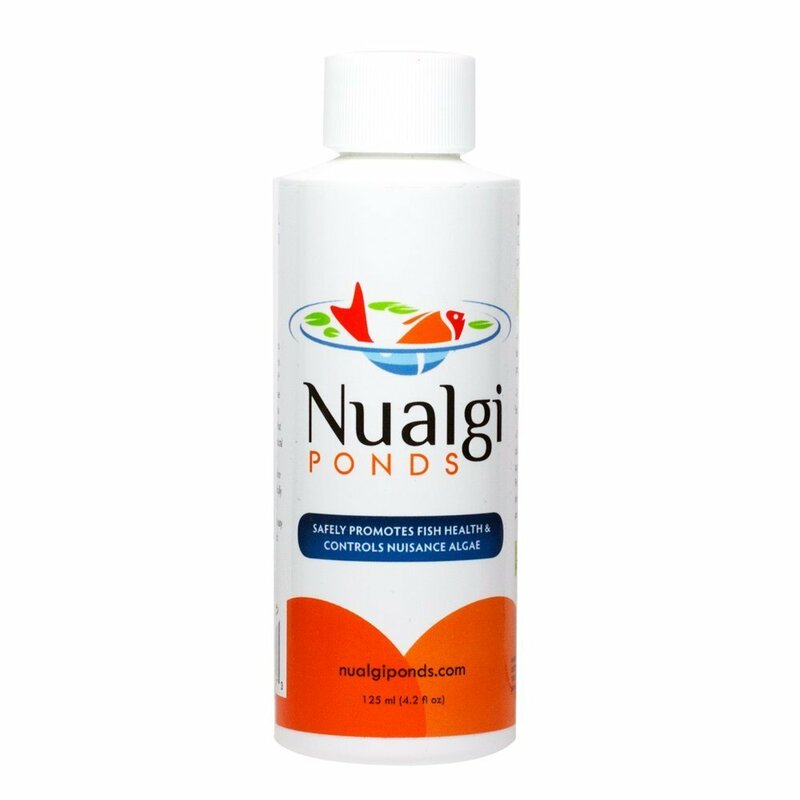 Nualgi Ponds is the fourth generation of patented nano-silica-based micronutrient. Based on 9 years of lab research and 8 years of field research for applications in commercial and municipal water management. The Nualgi Ponds formula specifically helps pond owners improve water quality and manage algae. Here's a link, for quick home delivery.